The right screen and projector is needed to get your content across. Why sacrifice your message when its time to deliver? 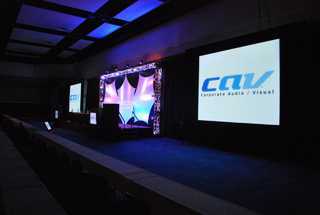 Corporate AV, LLC will advise you the right projector for the room and audience size for your meeting. Check out our projectors and screens here.